Cover Artwork: Thomas Eakins, self-portrait detail from The Champion Single Sculls (Max Schmitt in a Single Scull), Metropolitan Museum of Art, New York. One of the great rewards of Paul Genega’s work (and for his readers there are many rewards to reap) is the poet’s immense and sophisticated apprehension of history. In his latest collection, Genega seizes much literary reference, encyclopedic fragment, information, and catalog. This book is not, however, simple recitation, for Genega fully charges all this material with a relentless, brutal, loving, hilarious sense of play, by which I mean intelligent trickery, political hoopla, linguistic shenanigans and—above all—good music. Genega holds together anachronisms, mythology, newsroom rhetoric, ritual, and burlesque to compose poems that are both delightful and disorienting. The collection culminates in the stunning long poem “Shays’ Rebellion,” an anti-romantic and anti-nostalgic satire-collage which takes to task our long list of American tyrants, tycoons, sycophants, and buffoons. In Sculling On The Lethe, Paul Genega doesn’t just tell the story of a nation’s crackpot suffering, he makes that story swing. 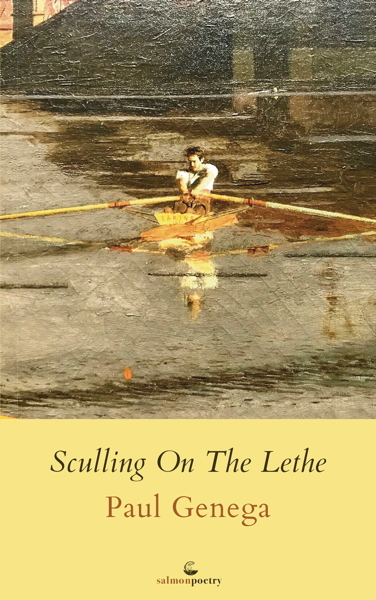 Sculling on the Lethe is Paul Genega’s sixth full-length collection of poetry and his fourth with Salmon. 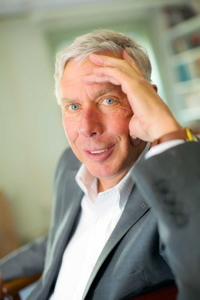 Over a forty year career, his work has appeared in a wide range of journals and magazines including Poetry, Paterson Literary Review, Stone Canoe, Stillwater Review and Narrative Northeast and in the anthologies Like Light (Bright Hill Press, 2017) and Dogs Singing: A Tribute Anthology (Salmon, 2010). His work has received such honors as the Lucille Medwick Award (New York Quarterly), Discovery Award (The Nation), Charles Angoff Award (The Literary Review) and an individual fellowship from the National Endowment for the Arts. His poetry is also featured in the forthcoming film Paging Doctor Faustus; ARTS by the People’s US/Israeli Moving Words project; and the play Ophelia in Brooklyn, premiering in Brussels, spring 2018. Genega taught for many years at Bloomfield College, New Jersey where he founded the creative writing program and served as Chair of Humanities. His legacy continues at Bloomfield through the Genega Endowed Scholarships in Creative Writing. Cassandra, less a woman now than wind. which can’t stop moving, dares touch. such dazzle, such sharp light. she thinks this is her making. in a universe of mites.